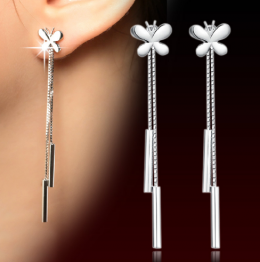 Beautiful 925 Sterling Silver Butterfly Earrings! The earrings are solid 925 Sterling Silver and are very high quality! The earrings are 2.5" in length.